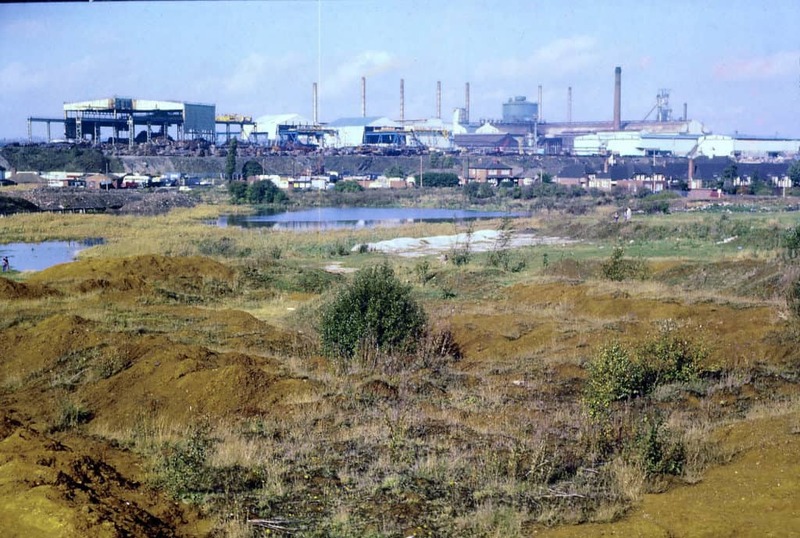 Bilston Steelworks from Bradley Arm canal near Highfields Road, Coseley, 1976. 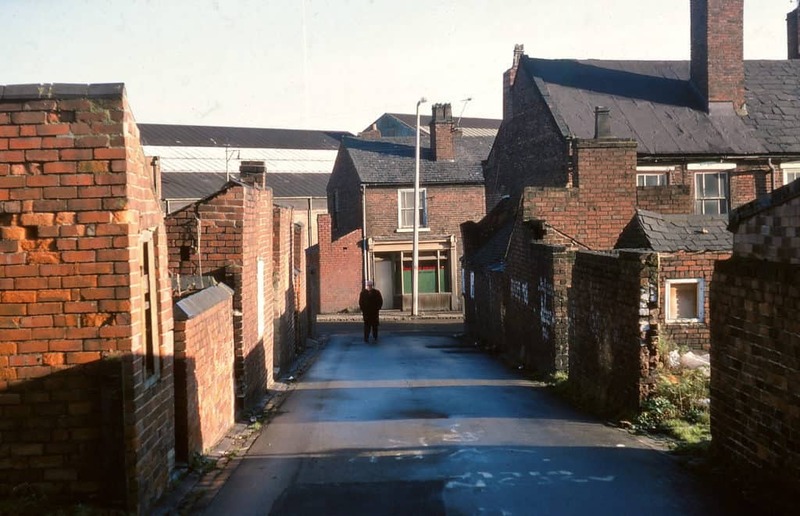 I was born in Tipton in Binfield Street, which is a little street right by what was then Tipton Central Library. I like to think that this was the first piece of architecture I ever saw was looking out of my gran's window in the room where I was born. The library building is right across the street. It’s now called the Tipton Carnegie Centre after the library transferred to the new building in Owen Street in 2000. 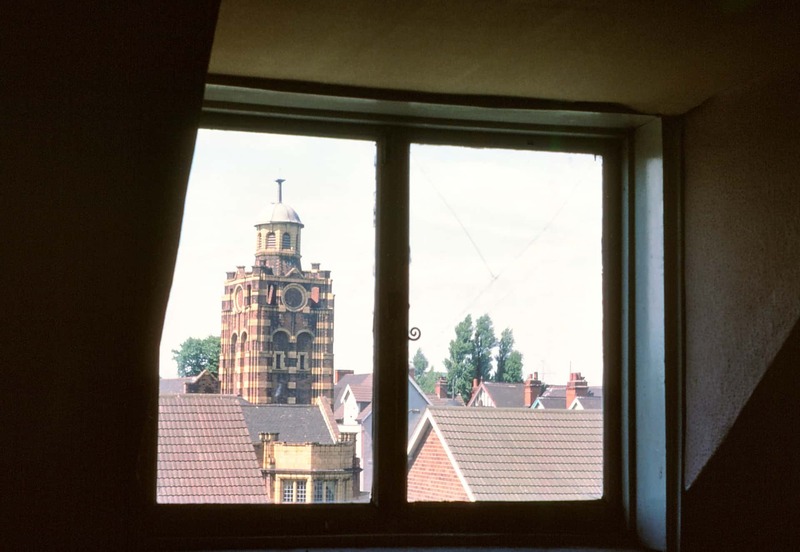 Photograph of Tipton Library taken from the room Keith was born in in Binfield Street. 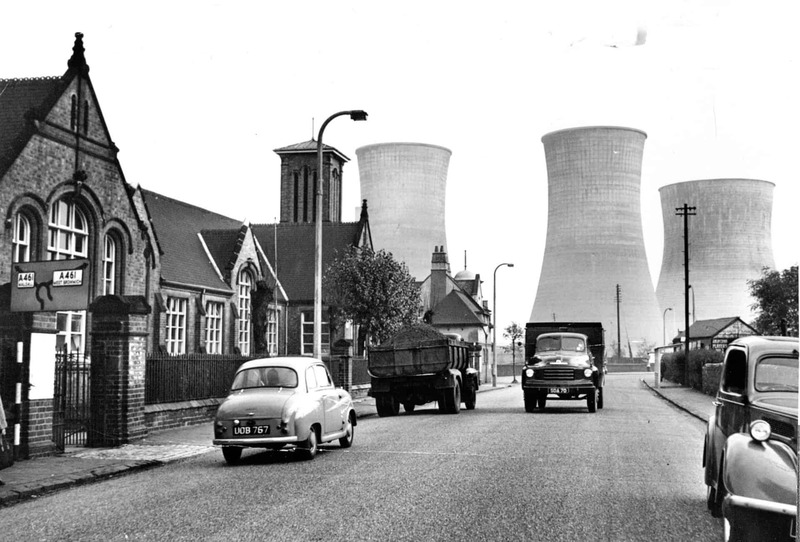 I grew up and went to school in Tipton, and I left right after my 'O' levels. 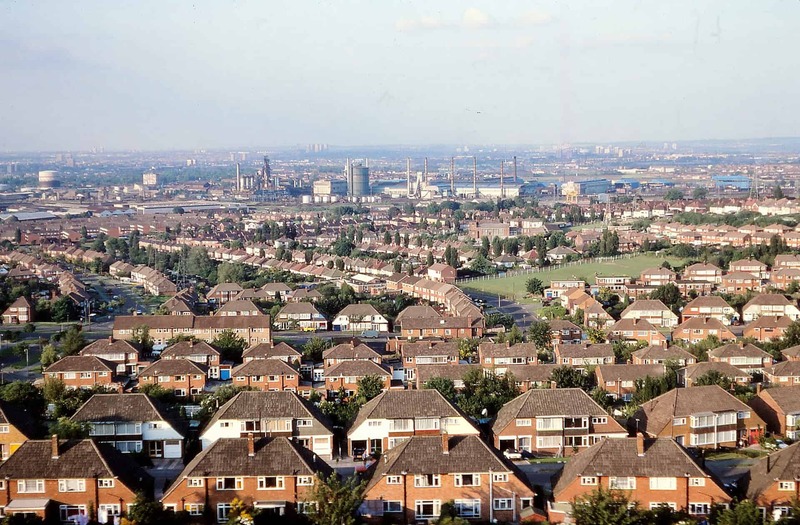 My first job was for West Bromwich Council based in Wigmore, Pennyhill Lane, in the architects department there. While I was there I went to college part-time and did the ONC (Ordinary National Certificate) and HNC (Higher National Certificate) in building. After that I moved to Dudley Council and the section leader there persuaded me to go to a School of Architecture full-time, which I did. 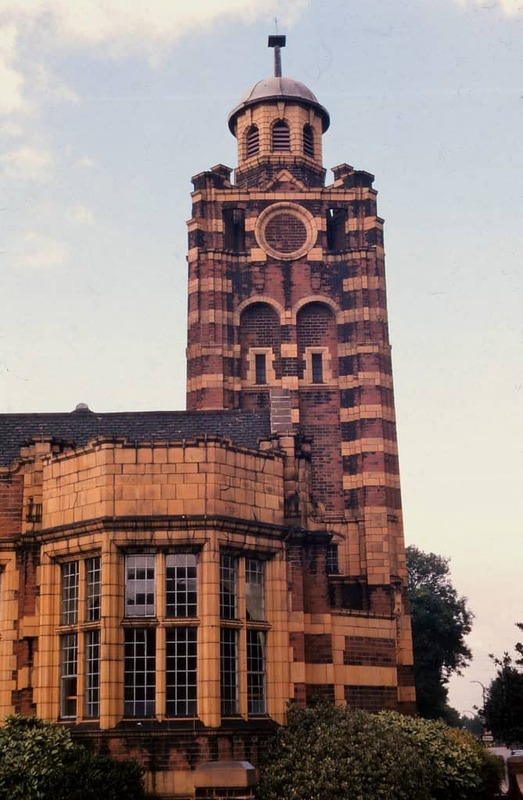 I got a place in the Birmingham School of Architecture in 1971 and graduated in 1976. For the latter part of my career I worked in Wolverhampton right up until I took early retirement in 2009. 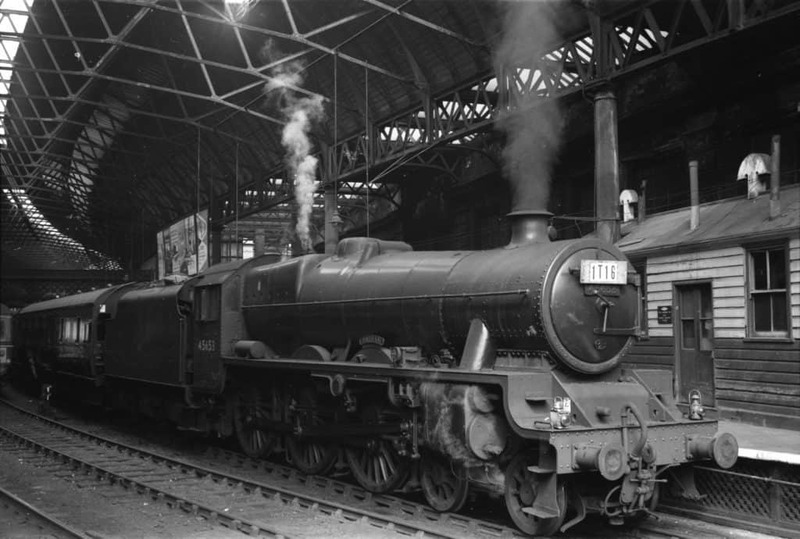 My own interest in the heritage of the Black Country goes right back to when I started train spotting at the age of 10. That opened up a whole new world of exploring, travelling, and visiting new places. Obviously at first this was just locally to begin with. My dad would take me on alternate Saturday afternoons to Birmingham New Street Station and Wolverhampton low level Station where we would spend the afternoons train spotting. That was from about 1961 so of course there was a tremendous amount of steam still in operation at that time, and it was just a wonderful environment. Birmingham New Street Station. c 1962. Photograph by David Wilson. 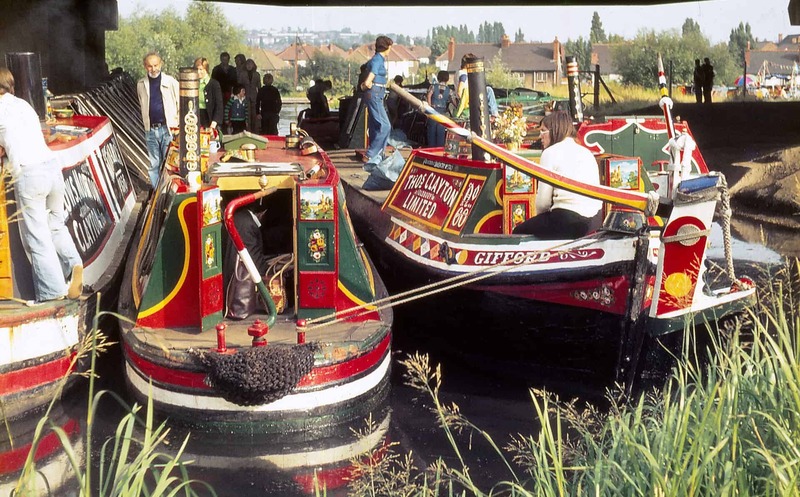 My dad would also take me on walks along the local canals and that further encouraged my own interest in canals themselves and the wider Black Country landscapes. Wolverhampton Low Level. c 1962. Photographer unknown. 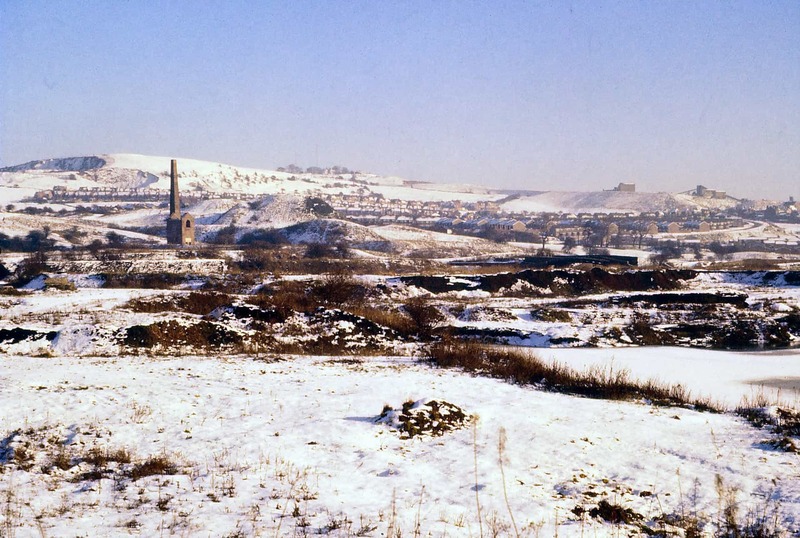 My dad was a typical Black Countryman in that he worked in the foundry industry as an Iron-moulder, which is a dreadful job. He was always quite surprised that I found that work so fascinating because to him it was an awful job. To me it was all fascinating and I was interested in the whole history and culture of that kind of work, and at that time particularly the visual imagery that went with it. Later on when I was in my teens and I started taking photographs I remember my dad taking me to the foundry where he used to work. There was me raving about all these spaces and the way the light was coming through the roof of the foundry and so on. Of course there was absolute filth, and it was horrible, but for me, architecturally and spatially and visually it was still a magical place. 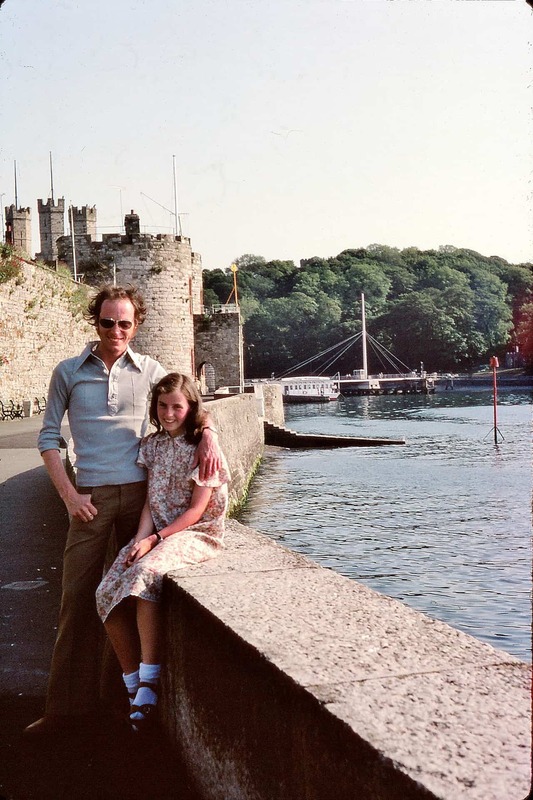 Of course my dad couldn't understand that as he had to work in such a environment, and he said ‘if you had to work in a place like this you wouldn't be thinking like that’ which obviously you can really understand. The other thing for me was the tremendous pride I had that my dad was involved in that sort of thing, in the traditional industries of the locality. I mean, that was seriously hard work, hard work which I would never know. One of other driving force of your parents was your parents trying to make sure you didn't have to go into a job like that yourself. They wanted to get you a good education so that you didn't have to work in places like that because they knew how hard it really was. My mum worked for many years in a local corner shop, one of the many local corner shops. Interestingly, my dad never quite approved of my mum working, you know because of the old masculinity thing of the husband being the bread winner. So it was the whole environment of the Black Country that influenced me, particularly transport - the canals and the railways - which were a cause of endless fascination. And then when I got a bit older in my late teens, pubs also came into the equation, because there was a whole new type of culture - architectural styles and a way of life - for me to get interested in. 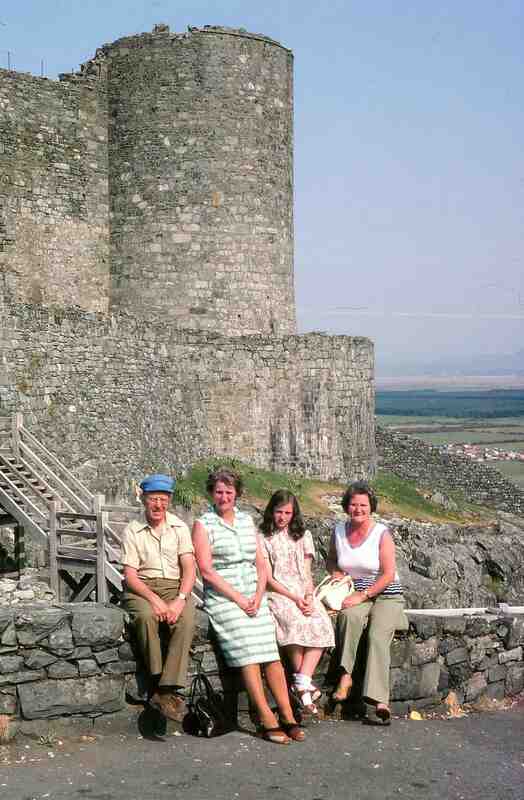 I think in the early 70s I was becoming much more conscious of stuff that was disappearing. 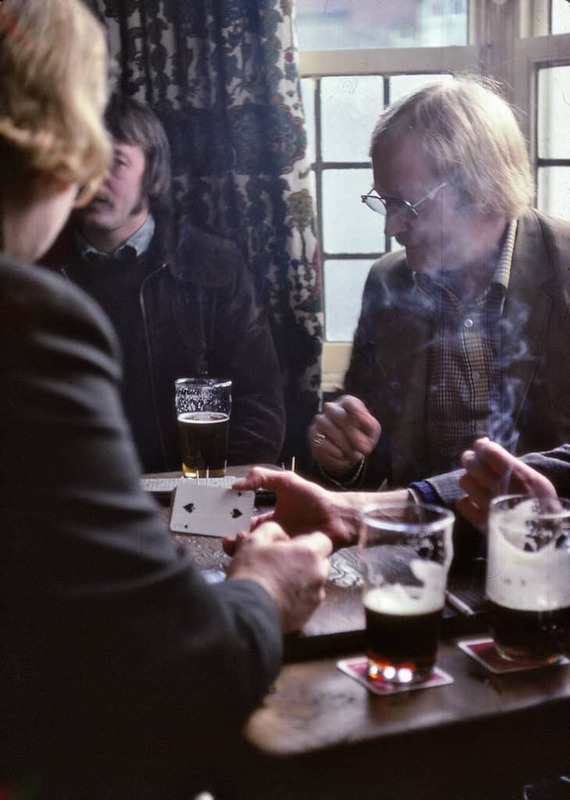 In my early 20s I realised that pubs were such an important part of our landscape and they were disappearing fast, and even the ones that weren't disappearing were being wrecked and modernised out of existence. 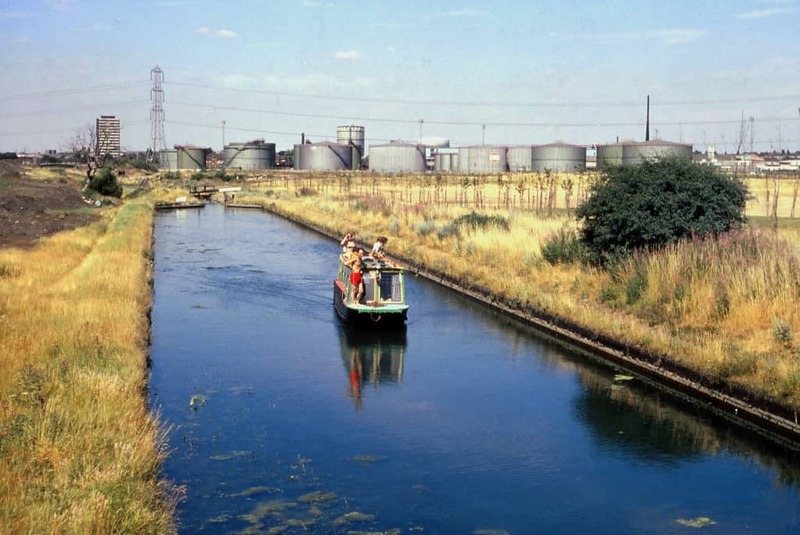 Gower branch canal looking north from Dudley Road East, 1976. The really big marker for me was when I joined the Black Country Society in 1973. That gave me a whole new impetus to start looking at the area in a more serious way. I was always conscious of the Black Country Society and always bought their magazine, but in 1967 when the society was formed I was only 16. Of course when you are that age people just a few years older can seem like old fogeys. So I didn't get around to joining until I was about 22 and even though I still thought they were old fogeys I was just about old enough to join. Looking back now they they were themselves quite young at that time. 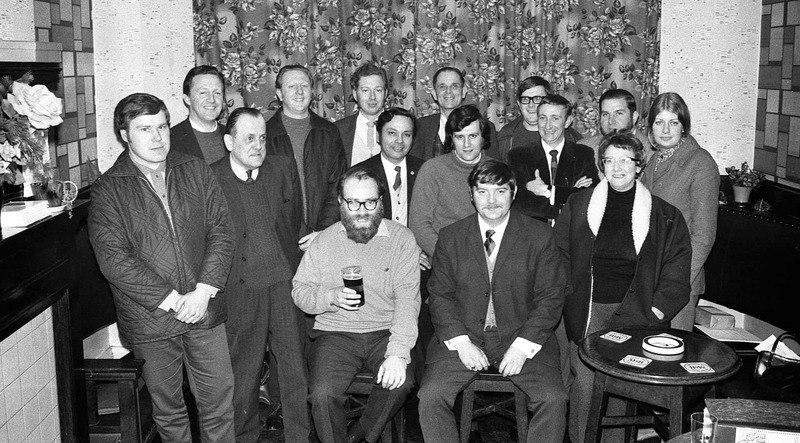 In that fabulous photograph of the committee in 1972 you can see that the average age was about 30. It’s incredible really when you think now of local societies the average age is about 70. That's an immense social change and I just don't understand it. Young people don't seem to be interested in joining things any more. The late 60s was such an interesting period. 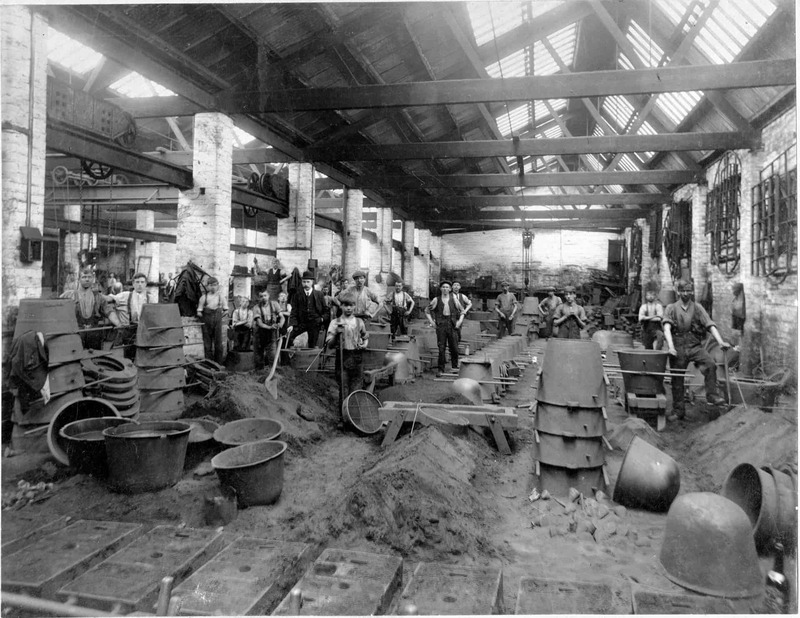 Everything started in this period with this movement towards the ‘open air museum’ concept with Ironbridge, Beamish and the Black Country Museum, and the growing interest in industrial archeology. The world was changing so much at that time. 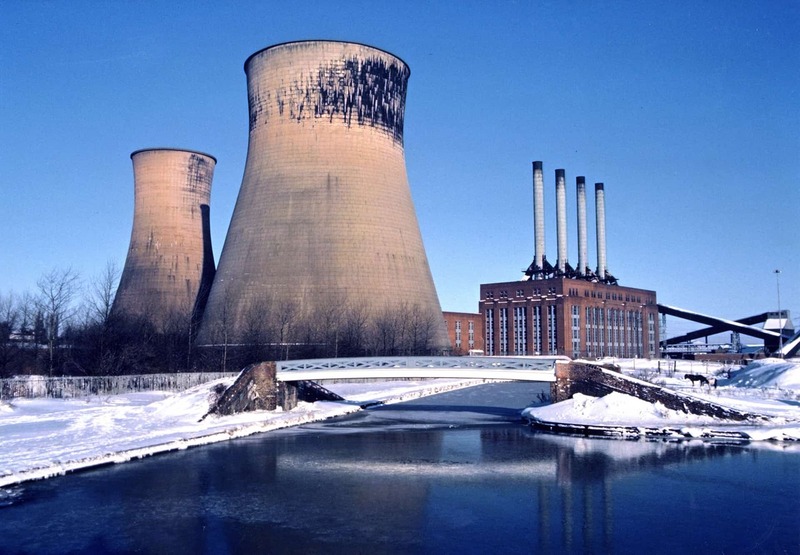 Until the start of the 60s the industrial world was pretty much as it had been before second world war. 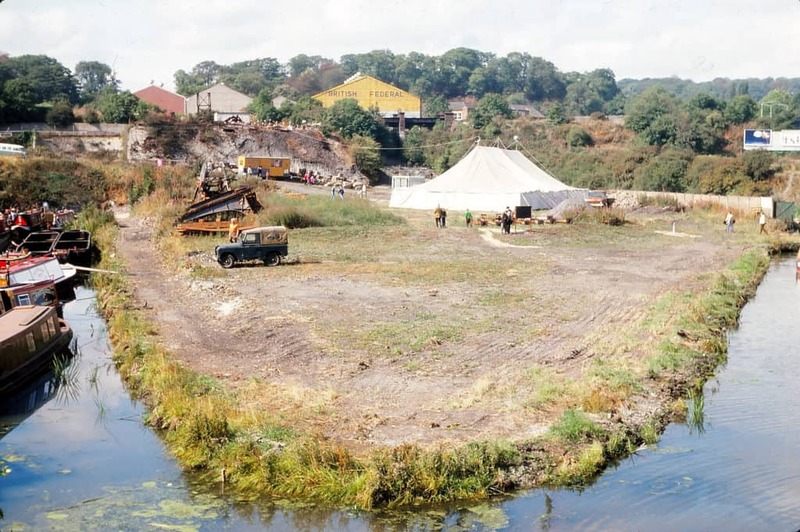 And then in the late 60s you had these massive changes. 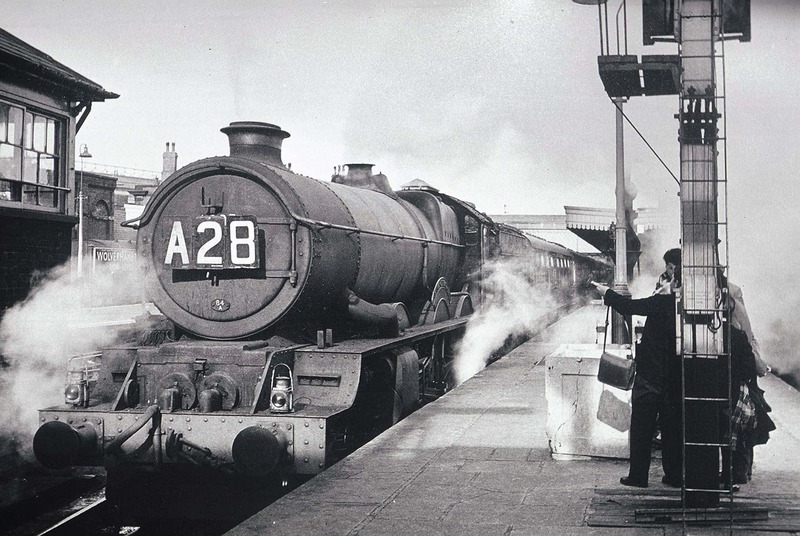 I mean, the railways were still run by steam in 1960 but by 1967 when I left school steam had all but disappeared. The canals had also changed, all the commercial traffic on the canals had pretty much disappeared. It seemed like everything had suddenly become more modern. This was the time of Harold Wilson and his phrase from 1965 of ‘the white heat of technology’, who was making it clear this is the way that our country will progress through modernising of our industry. I have tried to record those changes through photographs down the years. My main emphasis is on the streets, the buildings and spaces as they are about to change, or as they are threatened with change. 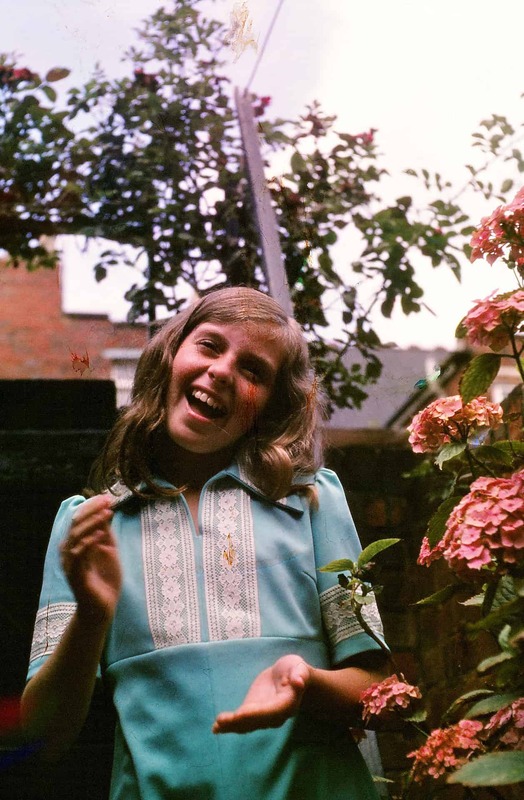 When you are looking that the photographs after perhaps 10, 20 or 30 years or longer from when they were taken, they start to form a fantastic archive of a totally changing world. I think it is inevitable that there will always be nostalgia and that there will be some romanticism looking back because that's part of the human condition. It's not a bad thing, but of course what we have got to remember is how things were, and how bad some of the things were in the past in terms of living conditions. 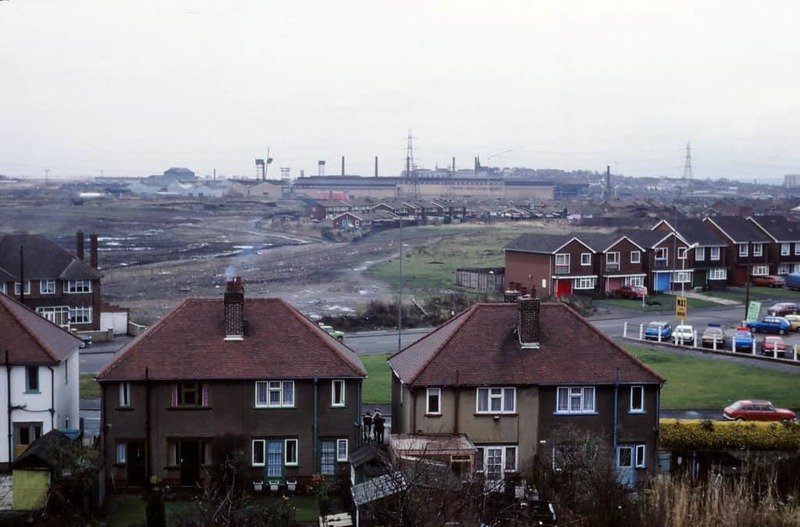 Even going back to my early life there were some terrible housing conditions in the Black Country, and the worst of the 'back-to-backs' weren't cleared until the 1970s, which doesn't seem that long ago really. I mean, really dreadful housing conditions that obviously had to be dealt with. 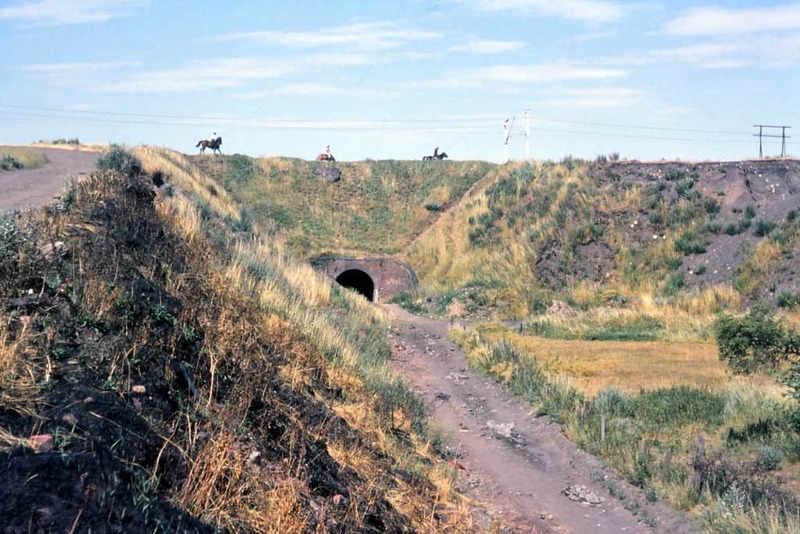 And working conditions too were awful, and sometimes dangerous. Health and safety is something we all go on about these days, saying there's too much of it and that some of it seems a bit silly. 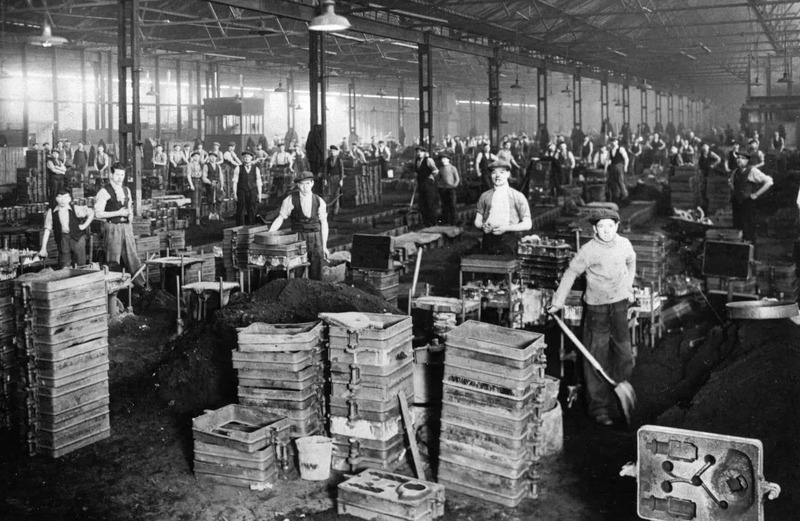 But when you think back even to the recent past, there was often appalling working conditions in some of the industries and injuries and even deaths were a regular occurrence. So in that sense, things are much better today. My big interest is the built environment and the way the built environment is formed and has shaped our lives. It’s not just buildings but the spaces between buildings that together form the character, that gives the sense of place where we all live. The burning question was, and still is really, is how do we maintain the character of a place through its built environment? And particularly now as we have lost so much of the old stuff. How do we shape a new environment that's got a sense of place and can have that sense of belonging? That gets more and more difficult with the passing of time as you are losing more of the older grain as it were, of the physical environment. 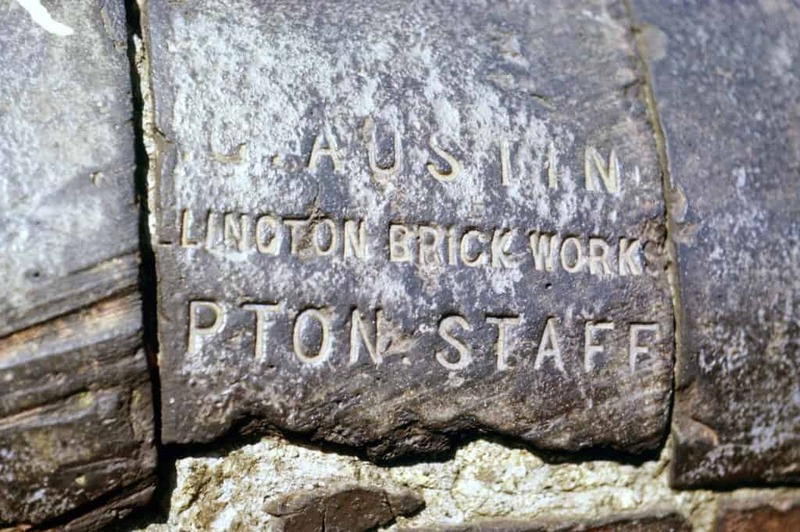 Detail of brickwork of a canal bridge at Dudley Port. 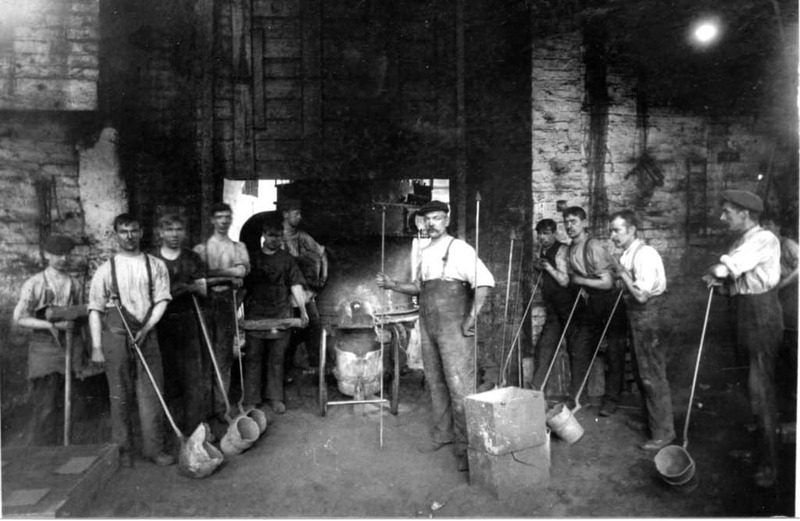 The bricks were produced at Wellington Brickworks, near to Peel Street, Tipton in the19th Century. 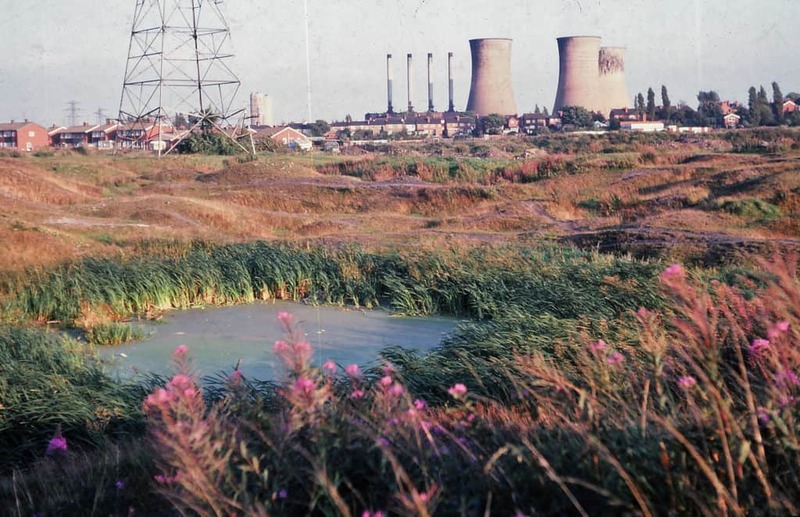 I do a lot of public slide presentations on many different aspects of the Black Country, and what I enjoy pointing out on a lot of these talks is the built environment, the local environment that people might not see or be that aware of. As you walk down a street, particularly an older street, there might be shop-fronts that are all gleaming modern, but if you look above these fronts, above eye level, there might be a wealth of texture and detail in the architecture and that is easy to miss. Part of my presentation is to say 'well, use your eyes more, look above eye level to seek out all these interesting details’. Very often there are historic clues, you get name-plates, dates and plaques, which may have been built into the original building which give you an idea of date or ownership or whatever. There is a wealth of fascination there in what otherwise might seem like a boring street. So I like to think I am trying to encourage a new way of seeing for the ordinary person who might not be aware of what is still there to see and enjoy. Personally I get so much enjoyment simply from walking down a street and looking at details, the construction and textures, and use of different materials. With my own photography, well I have no real interest in the technicalities of photography, but I am passionate about composition and subject. My first camera was a little Kodak Brownie 125 which could take maybe 10 photos or 12 photos on a roll in the 126 format. There are still a few photos that I took in the 60s with that camera that are still quite respectable, mainly of trains. I used that camera until well into my teens, and, partly to my regret, I didn't actually get a proper 35mm camera until I was 22 or 23. Even when I did get a 35 mm camera I did not really get to grips with the technicalities of it, and in a way I still haven't 50 years later. In terms of my collection, it mostly reflects the built environment because that's what I am interested in, more so that the social environment because I am interested in bricks and mortar, and streets and buildings, and of course transport. 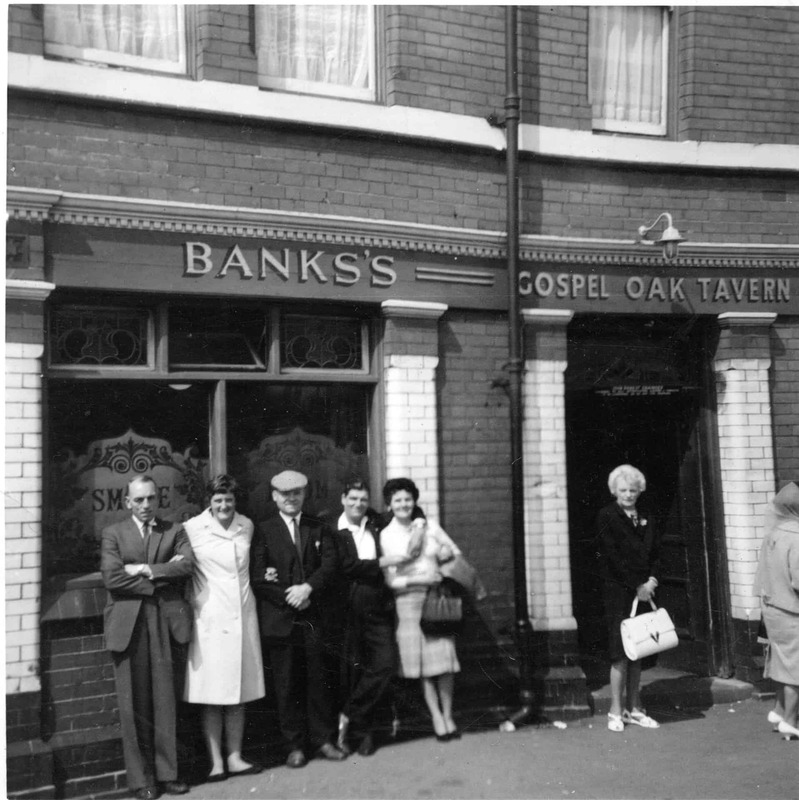 One big impetus for me was when the Black Country Society went into partnership with Alan Sutton Publishing who started doing the ‘Britain in Old Photographs’ series. They approached myself and John Brimble to look at Tipton and we eventually did 3 volumes of collections of old photographs of Tipton. I also have my own photographs of course. I started taking colour slides in 1975, and of course colour slides were incredibly expensive then weren't they? I seemed to remember the famous Kodachrome film was something like £8 a roll then which was an enormous amount of money in those days. My collection of slides goes back to 1975 and spans until 2007 when I went digital, there is certainly more than 20,000 slides. I have them scanned up until 1993 and of course the big thing now is the question of whether I am going to live long enough to scan the rest of them, because it's such a time consuming job. That was going to be a main retirement project, scanning slides, but two years ago I worked out in terms of proportion to what I have already done in relation to the total collection and at the current rate of progress, well, I need another 65 years to finish it off! Other people have said to me that you can get companies who can scan them for you, all by machine, but the thing is I get tremendous amount of pleasure of doing it myself. To sit down and scan your own pictures is wonderful because you are reliving all the lovely things in your life over again. All your photographs are of nice things or nice holidays and nice memories and so on, it's such a lovely thing to do.